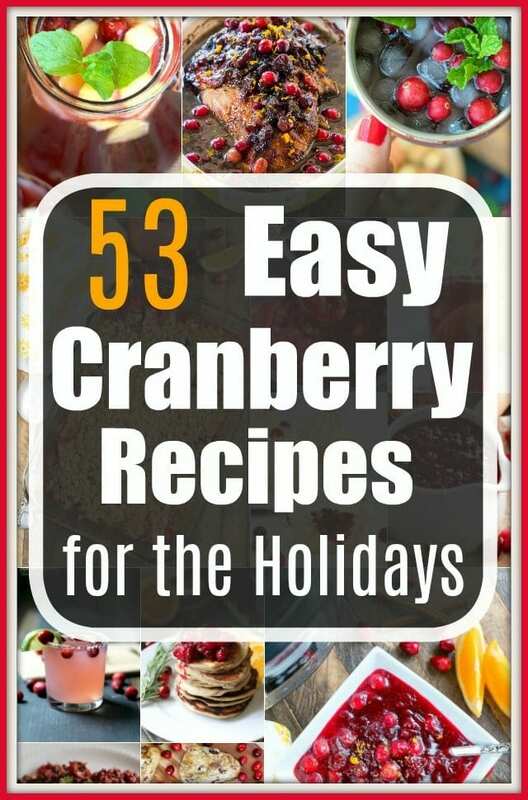 Here is a long list of cranberry recipes for Thanksgiving you can follow to make cranberry drinks, side dishes, appetizers, desserts and more. 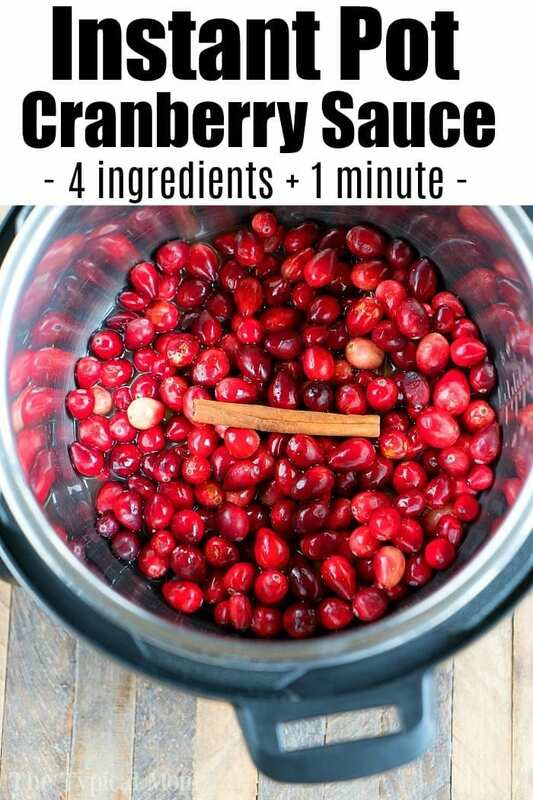 Looking for the best cranberry recipes for Thanksgiving this year??!! We have a ton of them to choose from! There’s nothing that says Christmas time more than a sparkling cranberry drink with some sweet and tart homemade cranberry sauce aside your warm turkey. I’m getting hungry just thinking about it. If you’re creating the ultimate holiday menu this year with everything cranberry, let us help you find a few new dishes to try. Our list of cranberry recipes are broken down into categories so you can find just what you need for your cranberry Thanksgiving feast this year….here we go! 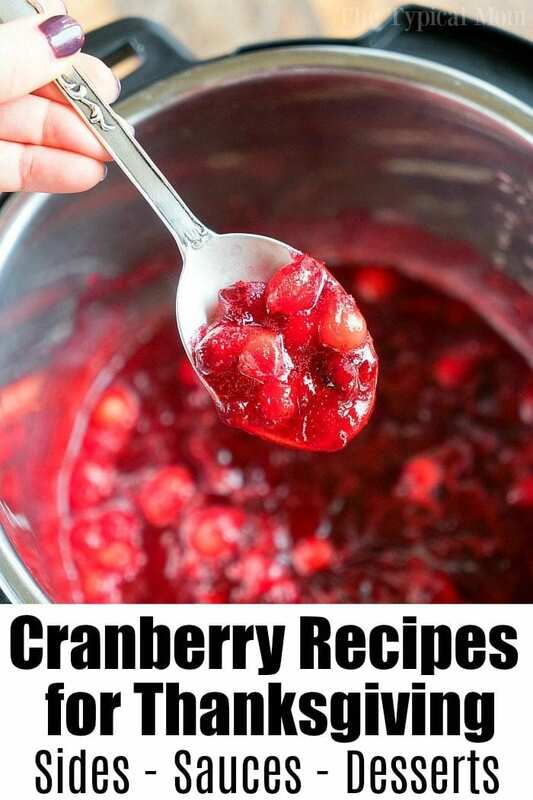 I will tell you what is a MUST…making your own homemade cranberry sauce this year! 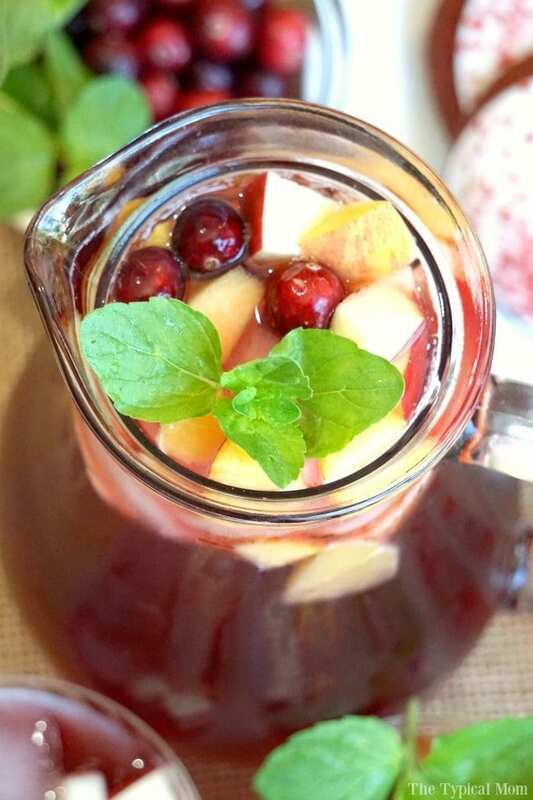 I will start with cranberry drink recipes that can be made into mocktail style for the kids or cranberry cocktails to serve during your event. Cranberries are not only tasty but sprinkled around a table or strung and hung on the tree or on top of a table they are a great (cheap) holiday decoration too! Like I mentioned above, if you only try one new thing this year off this list you have got to make your own cranberry sauce, it is nothing like the canned version and you’ll never buy that again after making your own. Most cranberry sauce recipes only call for 3-5 ingredients and you can make it as tart or sweet as you want, as runny or as thick as you want and it’s great as a stand alone side dish if you ask me. Then with your leftover cranberry sauce you can make our Cranberry apple cobbler which is a family favorite…and I ensure I use all that is left after a day or two.